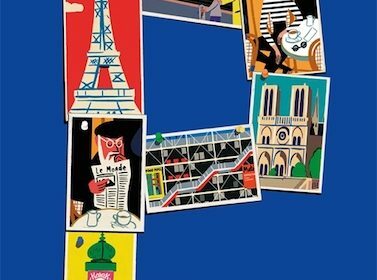 P is for Paris is the latest richly illustrated book by award-winning graphic artist Paul Thurlby, whom I admire for his retro looking drawings of beautiful cities in the world. This stunning book is not just for kids but deserves a place on every coffee table along with L is for London and NY is for New York. I am an admirer of Paul Thurlby’s work and I have always kept his books in a special shelf away from the other kids’ books after reading them with my son Diego. London Letters is a brand new functional book about London. 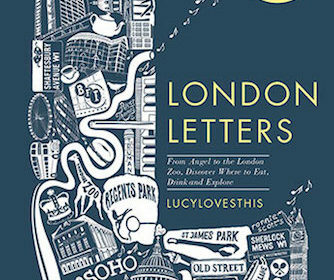 It certainly isn’t your typical A-to-Z guidebook to the bustling city of London: in fact it is filled with interactive and eye-catching artwork of Lucylovesthis, and features 26 of London’s districts. From Angel to the London Zoo, kids can discover where to eat, drink and explore the British metropole in a fun way. 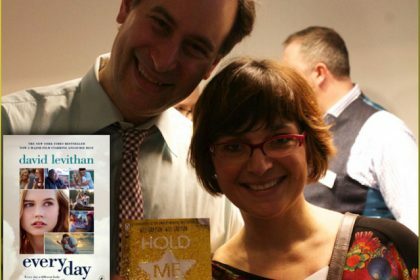 Little I knew when I met American author David Levithan at an event in London hosted by Penguin Random House in 2015, to promote his latest book Hold Me Closer, that his novels would become huge bestsellers and popular movies.